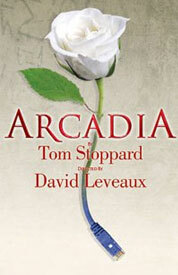 Arcadia, the Tom Stoppard play, triumphantly returns to Broadway boasting an outstanding cast directed by David Leveaux. Originally on Broadway in 1995, Arcadia takes place in an English country estate, though its characters are separated by two hundred years. Some characters populate the estate circa 1809, others in 2009. Both tales intertwine in this slightly sleuthy play that is funny, touching and full of impassioned and inspired performances. 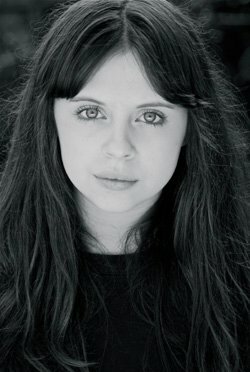 The 1809 story follows a young girl, Thomasina (Bel Powley), and her tutor, Septimus Hodge (Tom Riley). Thomasina is wise beyond her years and perhaps a mathematics genius. Septimus is a charming bloke who writes literary reviews and charms other men’s wives. In 2009, Bernard Nightingale (Billy Crudup) arrives at the estate, currently lived in by Valentine Coverly (Raul Esparza), his siblings, Chloe (Grace Gummer) and Gus (Noah Robbins) and their (unseen) parents. Nightingale is on a mission to speak with a rival academic, Hannah Jarvis (Lia Williams), who is at the estate to research the topiary, about the possibility that at that very estate in the early 1800s Lord Byron shot Ezra Chater (David Turner), one of the men whose wife was charmed by Septimus. Sounds a little complicated, right? It is—but in a wonderfully rich way. While watching the play, I found it easy enough to follow, on a basic level, but I know there is so much in the details that I missed. I plan to read the play and then see this production again (more than once, perhaps) to discover all the layers making up Arcadia. One of the themes I found so interesting – perhaps the theme of the play, with everything else being simply a variation on it – is time. At two different points in the play, two different characters wonder aloud, “Am I the first person who thought of this?” They are each told no but it highlights the idea that everything old is new again – that time is cyclical. Here’s a moment from the first act that sums up this theme: (I may get the exact wording wrong; forgive me!) “Everything you drop will be picked up by the next person.” This is said when Thomasina complains that we’ve lost many of the Greek dramas, that we only have a fraction of what Euripides actually wrote. Septimus asks Thomasina to imagine she’s carrying all the works in her hands. She’s likely to drop something, accidentally or purposefully, when making room for a new classic. This doesn’t mean she’s completely disregarding the old; it doesn’t mean that the old is lost forever. There will be someone behind her to pick up what she’s dropped. So hold what you can but be sure to make room for new insight. Isn’t that a lovely thought? Another theme explored is making order out of chaos; or maybe not chaos but making beauty out of seeming randomness. Both Thomasina and Valentine are working out algebraic functions called iterations. These occur when you solve a problem for Y then insert the value of Y in for X and re-solve the problem. Each time you come up with a different graph plot-point. Each iteration is more detailed than the last and if you work at it long enough you can come up with something beautiful. Thomasina, being just a teenager and having only the use of paper and pencil, gets admirably far but not far enough. Valentine is able to use a computer and push the iteration a billion times deeper. He finds that when all the points are plotted, a beautiful image takes shape. It is in this discovery that the play’s logo artwork, the rose with a stem that turns into a computer plug, makes perfect, brilliant sense. It is also in this discovery that the painted scrim that falls between acts seemed just right: To me, the scrim looked kind of like Georges Seurat’s A Sunday Afternoon on the Island of La Grande Jatte, which is the subject of the Sondheim classic Sunday in the Park with George. In the musical, Seurat sings about putting it together bit by bit. Each dot in his pointillism masterpiece is a significant layer that leads him to discover what he’s actually painting. So, too, it seems with Thomasina and Valentine and their iterations. Bringing these themes and characters to full, colorful life is a terrific ensemble cast. 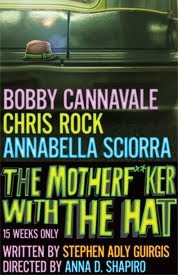 The entire cast (which, in addition to the previously mentioned actors, also includes Margaret Colin; Glenn Fleshler; Edward James Hyland; and Byron Jennings) is good, bringing the funny when it’s called for and summoning sincere emotions for the more dramatic moments. 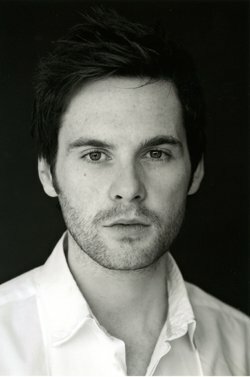 I was most impressed by Broadway newcomers Bel Powley and Tom Riley. What impressed me the most about Powley, playing Thomasina as she ages from 13 to nearly 17, was perhaps that she wasn’t shrill. Often times I find young female characters to be portrayed as shrieking or bratty youngsters, with the actor bringing little or no depth to the role. Powley was strong and confident, imbuing Thomasina with soul and an intellect that does not usually become a 13 year old girl. She is the youngest member of the cast but skillfully holds her own and comes off looking like the most mature. Riley has a great stage presence and was wonderfully charming and enticing as Casanova Septimus. 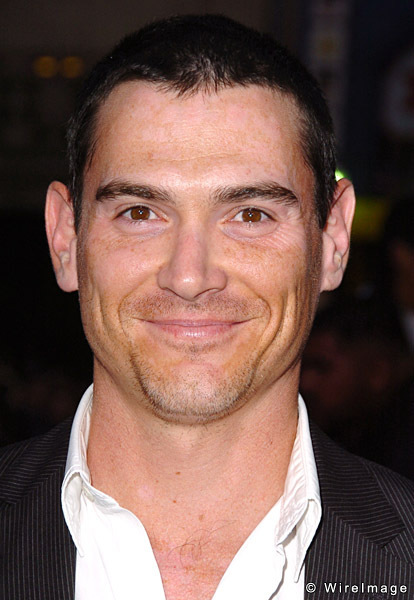 In the original 1995 production, Billy Crudup made his Broadway debut playing this role. He took off from there and after watching Riley (who, in this production, looks a bit like Crudup, but in real life looks more like Sam Rockwell) I have no doubt that he will do the same. (This isn’t entirely fair; Riley is already an accomplished actor across the pond but this could likely be his breakthrough in the US.) Riley has a tough job as Septimus: He must walk a fine line between being a lecherous Lothario and an educated man who realizes his pupil is probably smarter than he is and admires her for it. 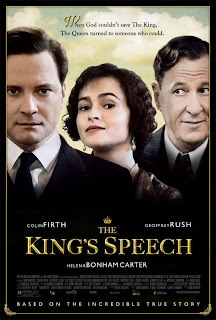 It would be easy, I think, for an actor to lean too far one way or the other, seeming too much of a flirt to take academics seriously or seeming too much of an academic to take time to flirt, but Riley walks the line well and gives a thoughtful and balanced performance. Of course, dear readers, you know that what brought me to Arcadia was the promise of Billy Crudup and Raul Esparza on stage together. Both are masters of their craft and they didn’t disappoint here. Esparza was remarkable as Valentine. He has an incredible ability to slip between moments of delicious smarminess and deep, raw passion. The smarmy moments showcased Esparza’s perfect timing, lobbing his zingers so they landed on exactly the right beat. And yet, it was the passion that oozed from him when speaking of iterations that was the most entrancing. Without raising his voice and without gesturing wildly, from Esparza’s stunning performance you saw that Valentine cares deeply about his work and truly believes in its power. I believe in the power of Raul Esparza! 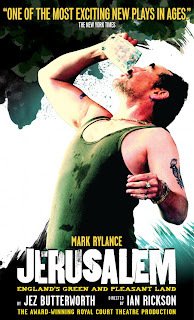 Arcadia is a smart, complex and rich play, given a stunning production by a superb cast. Visit arcadiabroadway.com to learn more and to purchase tickets to this limited run revival.